Racing does redemption pretty well; you pay your dues, you serve your time, and the sport will have you back. Eighteen months after emerging from a stint in HM Prison Holme House on Teesside for attempting to pervert the course of justice, jockey Joe Colliver can complete his restoration by winning the Stayers' Hurdle on Sam Spinner. There are so many layers of narrative to Sam Spinner that one is inclined to let the heart rule the head on these occasions, wishing a horse to win purely for the quality of the story rather than the quality of the horse. 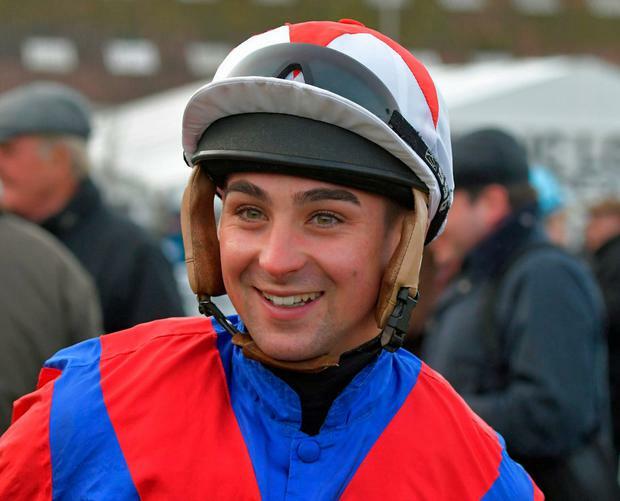 Apart from his Sheffield-born jockey's problem with the law after a car crash, his popular Middleham trainer Jedd O'Keeffe is a cancer recoveree who, like many, found the cure came closer to killing him than the disease. At O'Keeffe's lowest ebb - in August 2012 - he told his horses' owners, including Paul Chapman, who subsequently bought Sam Spinner for £12,000 - that he was quitting, only for them to persuade him otherwise. On the back of his best Flat season and with just six jumpers, he now finds himself as one of the rising stars of the Northern revival. Colliver, remorseful, grateful to those who stuck by him, and modest, is a likeable character clearly possessing what Iain Dowie famously called "bouncebackability". He does not shy away from his past, when he served almost three months of a 10-month jail sentence for lying about the circumstances of a drunken car crash. In a funny sort of way, what he has been through has probably made him a better jockey. Compared to a door being locked behind you, there is nothing daunting about riding a Cheltenham favourite. "I am a lot wiser," he admitted. "When the judge said I was going to prison, it was just a blur. I felt weak. I couldn't actually hear anything it was just noise and shock. I thought that was it. "The boss (Micky Hammond) said he'd leave the job open for me, which was kind, but I thought being a jockey was done with." He added: "There's no way of hiding it, who wants a criminal? Especially one with a prison conviction - I thought it was over and done with. "When I didn't drive, if it hadn't been for Finian O'Toole and Henry Brooke giving me lifts, I'd still be stuck on the side of the A1. "Now I keep giving them lifts, even if it is to the shops. I can only be there for them as they were for me." Sam Spinner is an improving six-year-old and goes for the staying-hurdle crown as a progressive jumper with the most solid form over the distance and the front-running, wishy-washy chestnut sets the standard, having made all in the Long Walk Hurdle at Ascot in December, cementing his position as the best of the British. Making all, however, has yet to be achieved this week. Supasundae had Melon, Mick Jazz and Faugheen behind him in the Irish Champion over two miles last time but Jessica Harrington's Coral Cup winner of 12 months ago has yet to win at three miles and, though he was not beaten far on either attempt, he appears to have more speed than stamina. O'Keeffe looks out at Penhill, the mountain just west of Middleham's High Moor where Sam Spinner exercises every day. It is what his Willie Mullins-trained rival is named after and O'Keeffe will be hoping that getting last year's Albert Bartlett winner back to win this race first time out is beyond even the Irish maestro. Others to consider are last year's runner-up Lil Rockerfeller and Unowhatimeanharry if Harry Fry can get him back to his Punchestown best. Cue Card will grace a Festival for the seventh and last time in the Ryanair Chase but the equally popular Irishman of French descent Un De Sceaux should have his measure.